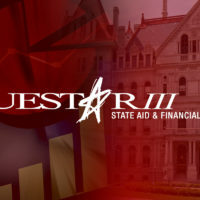 Questar III’s School Improvement Department offers a diverse selection of regional and in-district courses and programs for all members of the education community. To encourage and support lifelong learning, training is offered in school districts and conference centers throughout Rensselaer, Columbia and Greene Counties, as well as online. The services support best practices in curriculum and instruction driven by the state learning standards, assessments and current research. Professional development can be tailored to meet the specific needs of each school district and each school. REL-NEL translates research to practice in partnership with policymakers and practitioners in Connecticut, Maine, Massachusetts, New Hampshire, New York, Puerto Rico, Rhode Island, the U.S. Virgin Islands, and Vermont. The ten Regional Educational Laboratories (RELs) work in partnership to conduct applied research and trainings with a mission of supporting a more evidence-based education system. This six-episode series features principals, district and state leaders, and university officials who’ve developed strong principal pipelines.